How does the saying go? "New Year, New Me". A very popular motto for this time of year and I'll admit, I too am a sucker for it. This year, however, I'm going more with "New Year, New Nails". In undergrad I began my love affair with gel manicures and growing my nails out. 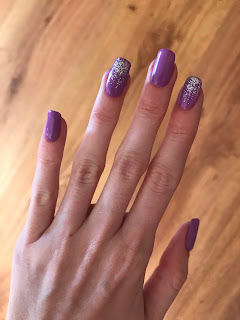 I thought this was the best option out there because they didn't chip that quickly, but even with strong nails and gel on them I still struggled with breaking one or two a month. It was such a bummer to have these beautiful nails and then one stubby, chipped one that broke. Or even worse, for the gel to peel up. Flash forward to December and I finally gave in and tried out dip manicures. 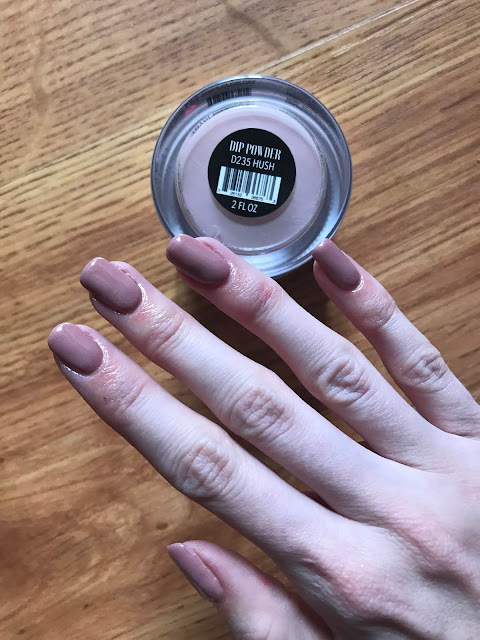 I was shocked by the whole process; there's no drying time, they literally roughly buff the top of your nails after all the work of perfecting them, and my nails felt SO strong at the end. The manicure lasted about two weeks and I took it off to change the color, not because it was flawed. I was obsessed immediately because I didn't have to worry about breaking my nails for the first time ever. At this point you may be asking yourself why I'm sharing a good mani with you, well it's not just about that. There was one huge downside to my new obsession: the cost. I'm on a student's budget at ~$45 every 2-3 weeks to have my nails done was just not feasible. Luckily, this story has a happy ending! My mom fell in love with dip manicures at the same time as me so she did some research and found Revel Nail Dip Powders allowing people to do their own dip manicures at home. I know what you're thinking, "there's no way I can do that as good as a nail salon". We thought the same thing, but figured it was worth a shot. With some inspiration from a Revel Nail Facebook group, we ordered starter kits. There were two options; one with 4 small color jars ($33) and one with a single large color jar ($69.99). Both of them came with all the liquid polishes needed (probase, activator & finish gel). I ordered the second kit and my mom ordered the first. They came relatively quickly and we went ahead and started our first attempt. The first step was to remove our current dip manicures. I'll be honest, this is the worst step by far. We've tried two different methods now and one seems to work fairly well. Before both of them it's necessary to use a nail drill or rough file to break through the top layer of each nail. The first, which did not work great, was just putting acetone soaked cotton pads into nail clips and leaving them on for 10-20 minutes. The second method was to put acetone soaked cotton pads on the nails, then rubber tips over the pads on each finger, then putting your hands into a ziploc bag and putting the bag into a container with hot water for 10-20 minutes. I did this for 18 minutes then just pushed off the residue with a wooden cuticle stick. If you can endure the removal and figure out a method that works for you, the rest is really easy! We watched a demo video Revel posted and took notes of the steps they followed, but the kits do come with instructions. 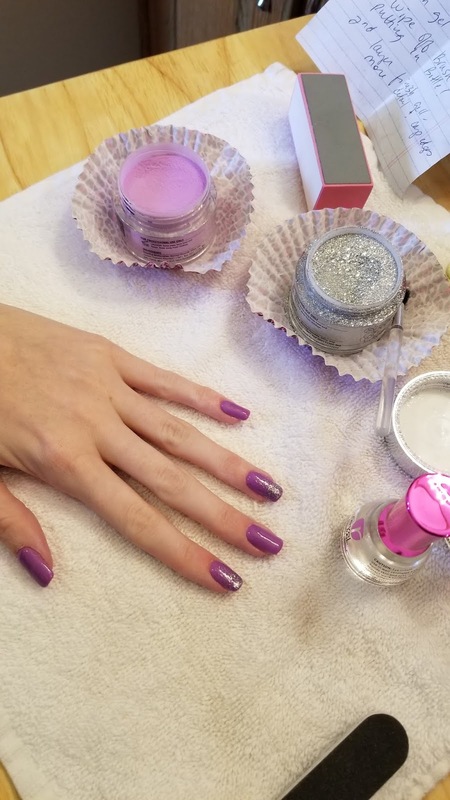 I'll share what we've been doing, but everyone's nails are different so definitely read the instructions before starting! ***It is super important to wipe the liquid brushes before putting it back into the bottle every time because if the chemicals mix the brushes can harden. That's it and I swear it's so easy to get the hang of. In total it took about 2 hours, including removing my old dip color. I was very satisfied with my first attempt and with each attempt you get better and better! Investing in a kit may seem daunting but it is totally worth it. 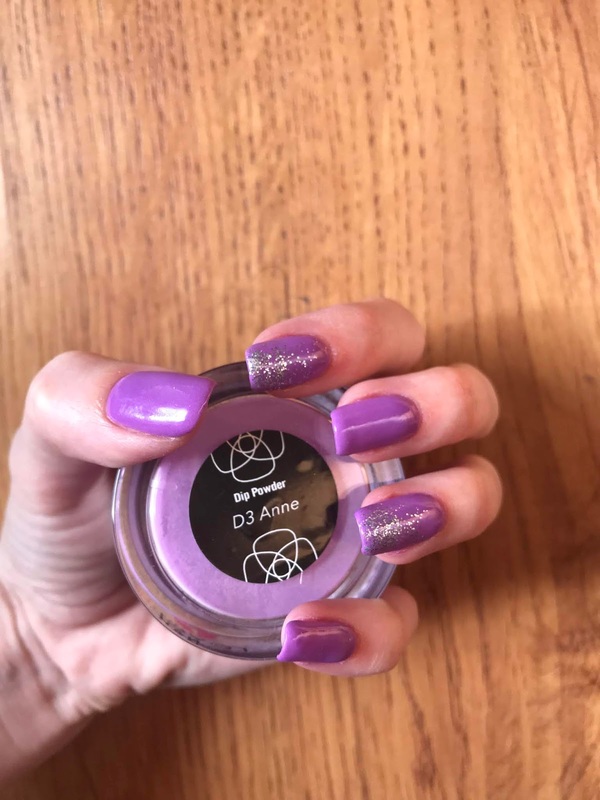 I now can do my nails whenever I want and with the huge availability of over 280 colors and samples I can get any color I want without breaking the bank. If you're interested in giving it a try, check out Revel's website to order your kit! Wow love this! I’ll definitely be looking into it because I love keeping up on my nails!! I’m glad you enjoyed it! Send me pictures of your mani if you try it out!